Persian Spiced Salad with Prawns! I don’t know about everyone else but during those British summer heatwaves my appetite for salad surges. 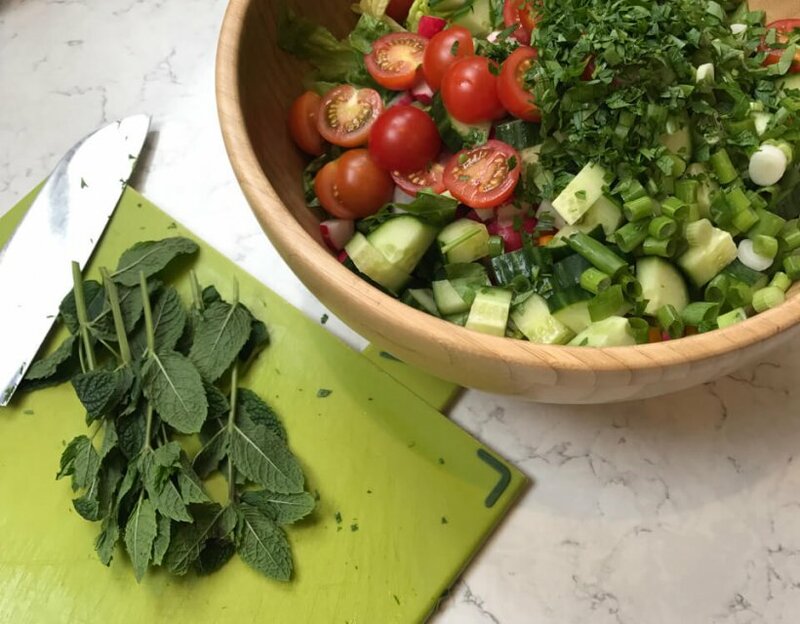 I love this on a hot summer’s day, the sumac, lemon, and mint make it refreshing while the pepper, radishes, and prawns give it a satisfying touch. CHOP all of the veggies. I like to dice the onion, cucumber, and peppers, halve the tomatoes, and quarter the radishes. 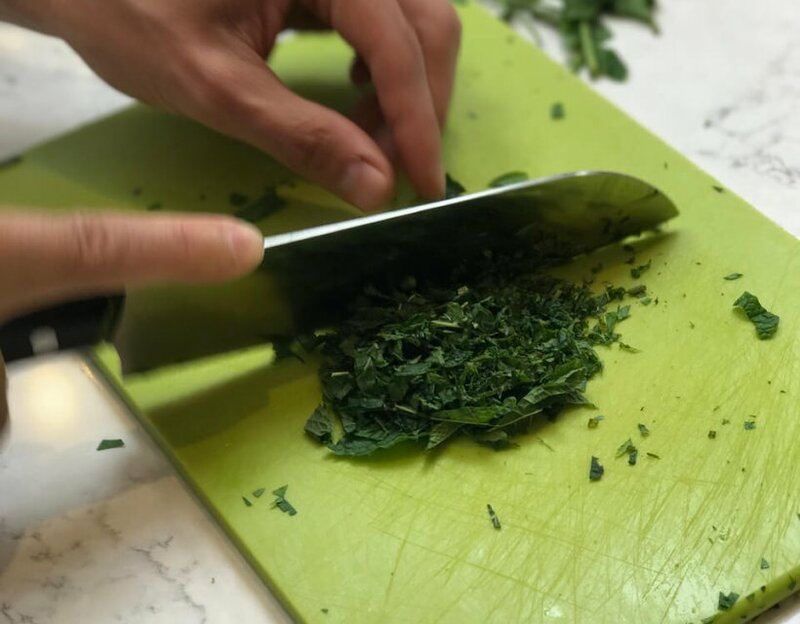 Finely chop the parsley and mint. 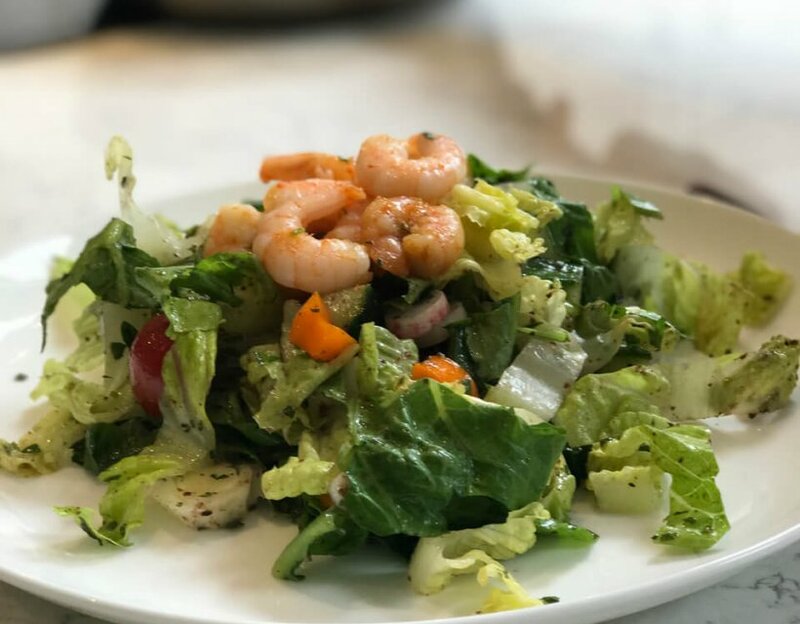 You can top your salad with pre-cooked prawns (hot or cold). Or if you have raw prawns, before mixing in the lemon juice and spices to the salad, fry your prawns until pink with some olive oil, parsley, and garlic. From Kaz, introducing people to the wonder that is SUMAC!